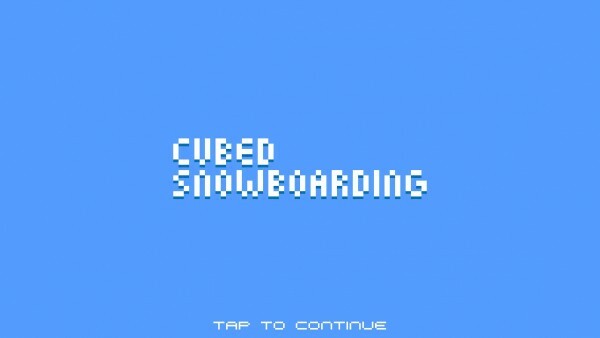 Cubed Snowboarding ($0.99) by Jared Bailey is a quick little arcade game where you get to show off your skills in the snow. Just because winter is officially over, it doesn’t mean that you can’t enjoy some snowboarding action. 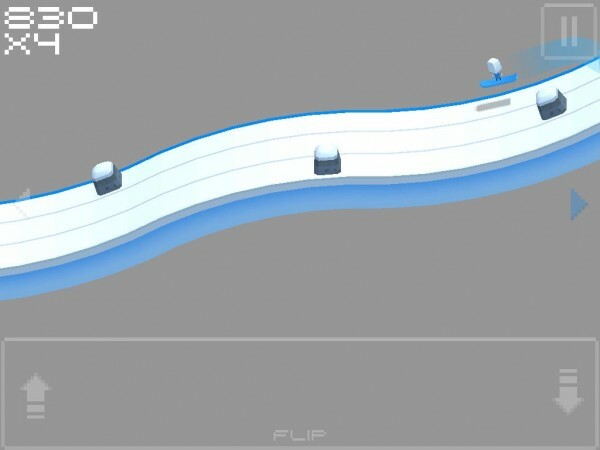 The game should appeal to anyone who likes other snow sport-related titles, such as Solipskier, and the more recently reviewed Dudeski. Yes, old man winter may be long gone by now (at least in California), but that doesn’t mean that we can’t enjoy some fluffy white powder through our iOS devices. 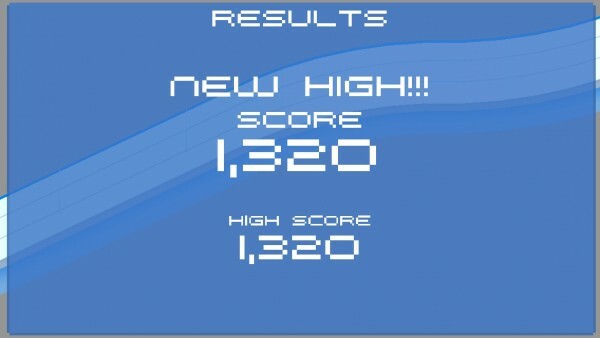 I’ve gone snowboarding once, and I discovered that I wasn’t very good at it (and ow, it hurt), but thanks to my iPhone, I can kind of experience what it’s like to snowboard through games. 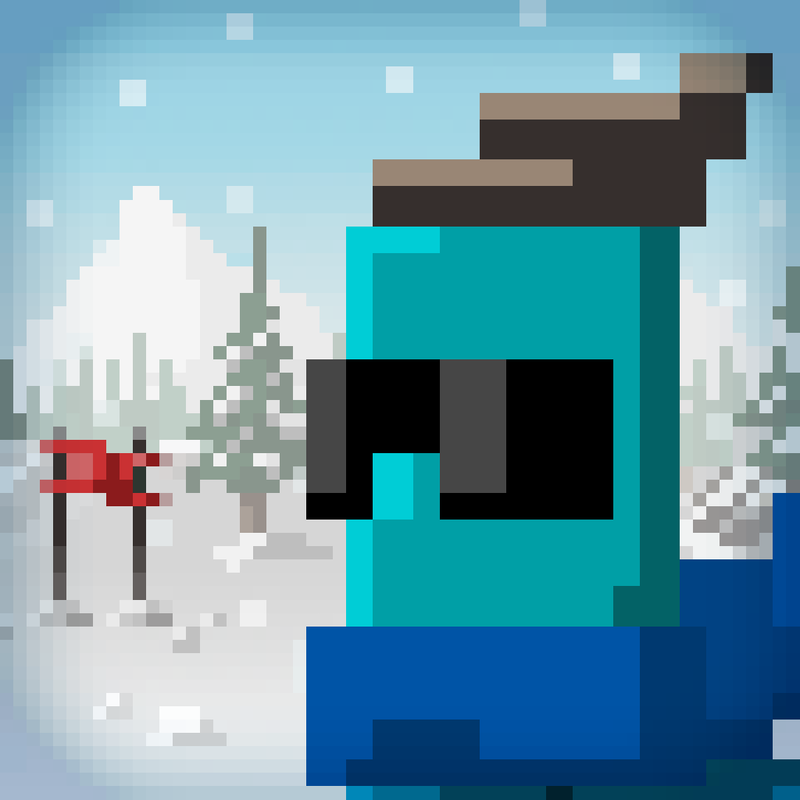 I’ve gotten a kick out of Dudeski lately, so I was excited to also check out Cubed Snowboarding. The visuals in the game are an absolute treat. 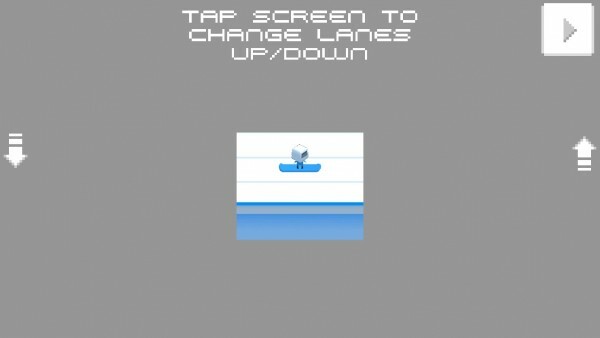 It’s a mix of 8-bit graphics that are rendered in 3-D. So if you enjoy the vintage, pixelated games, but still appreciate the modern twist, then this is perfect. 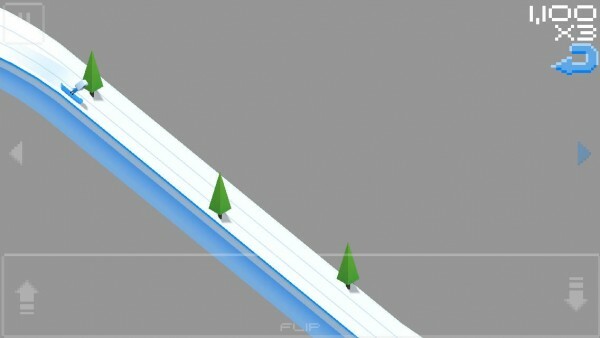 The animations as you go down slopes and perform flips is fast and smooth, so performance was topnotch on my iPhone 5s. The only thing that surprised me was the lack of music and sound effects; I had my volume up, but there is no sound coming from the game. 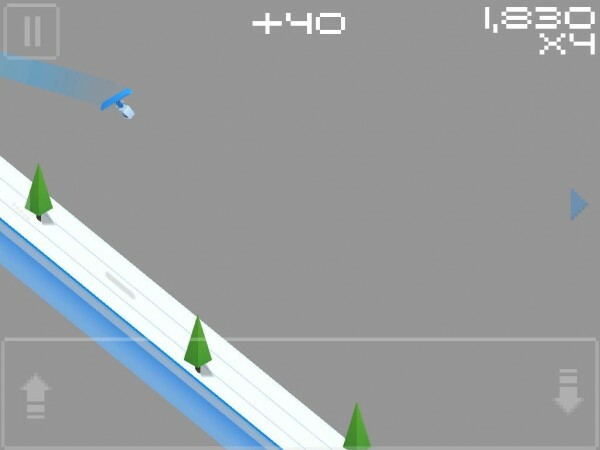 I found this a bit weird, as this seems to be that type of game that would be great with sound effects (the sound of the snow under your board, or you crashing into a snowman). Cubed Snowboarding is a bit different from the other titles I’ve mentioned. 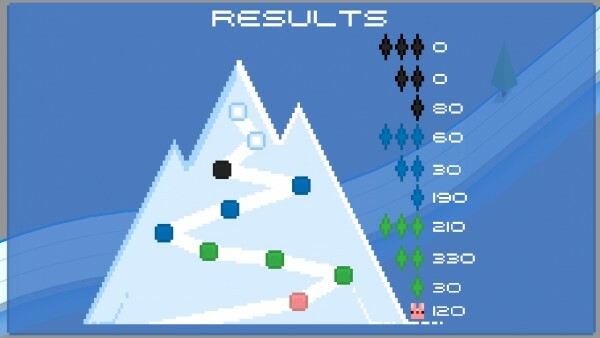 It’s not an endless runner, and you aren’t trying to outrun an avalanche on the mountain. 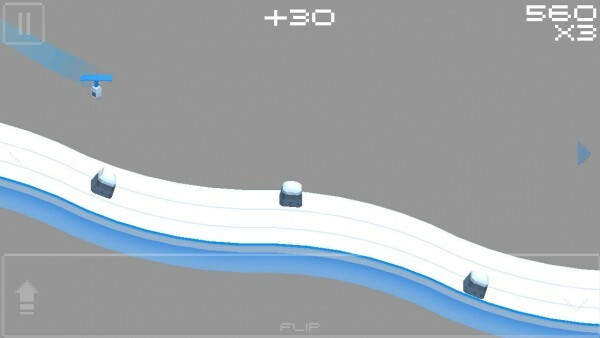 Instead, you are trying to impress a crowd with some sick flips, jumps, and grinds along a single track. But even though it’s a different concept, you still have that “just one more” mentality with the game, as you will constantly be trying to beat your previous high score. The controls are a bit weird and took quite some time to get used to, and even after several runs, I was still trying to get the hang of it. 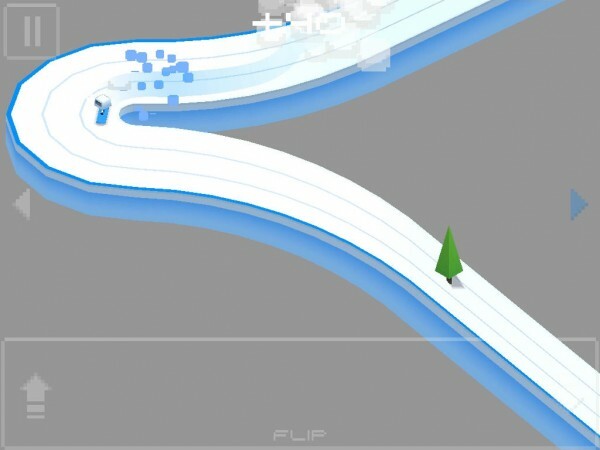 Along the track of snow that you’re on, there are three “lanes.” To change lanes, you’ll have to tap on the arrow buttons on the side to go up or down. 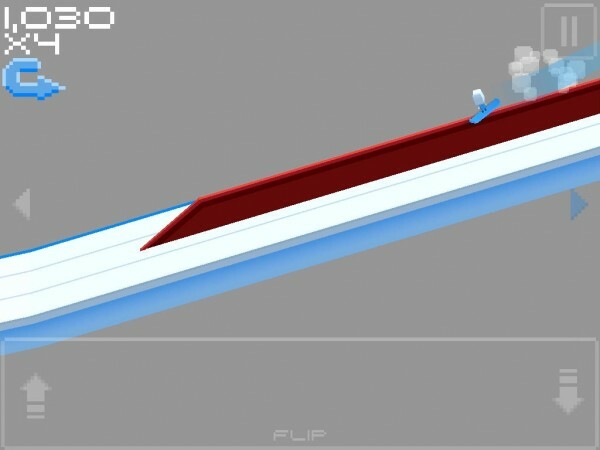 The button that sits at the bottom of the screen will allow your character to do a flip in the direction of your choosing, which can be a front or back flip, depending on the direction that you’re going. 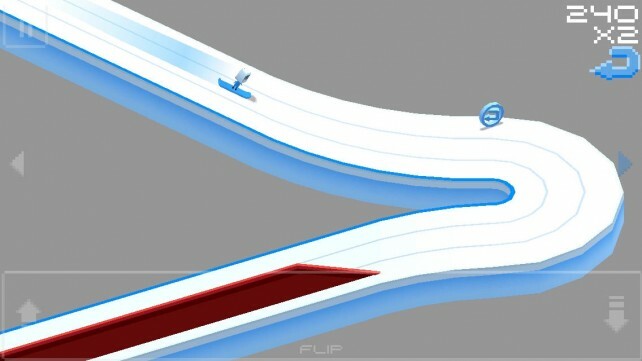 In order to make the turns, you need to collect the turn item that is in one of the lanes, otherwise, you’ll go off track and crash. The controls work, but it does take a bit of time to remember which button to press. To really get used to it, you’re going to have to keep playing and adjust. Each game you play will consist of 10 runs, and the track for every single run will be randomly generated, so it will never be the same track twice. The tracks will have sharp turns, steep slopes, ramps for jumping, rocks, trees, railings, half-pipes, and even snowmen scattered around longer stretches. You need to keep your eye peeled and watch out for obstacles, making sure to change lanes well ahead of time. 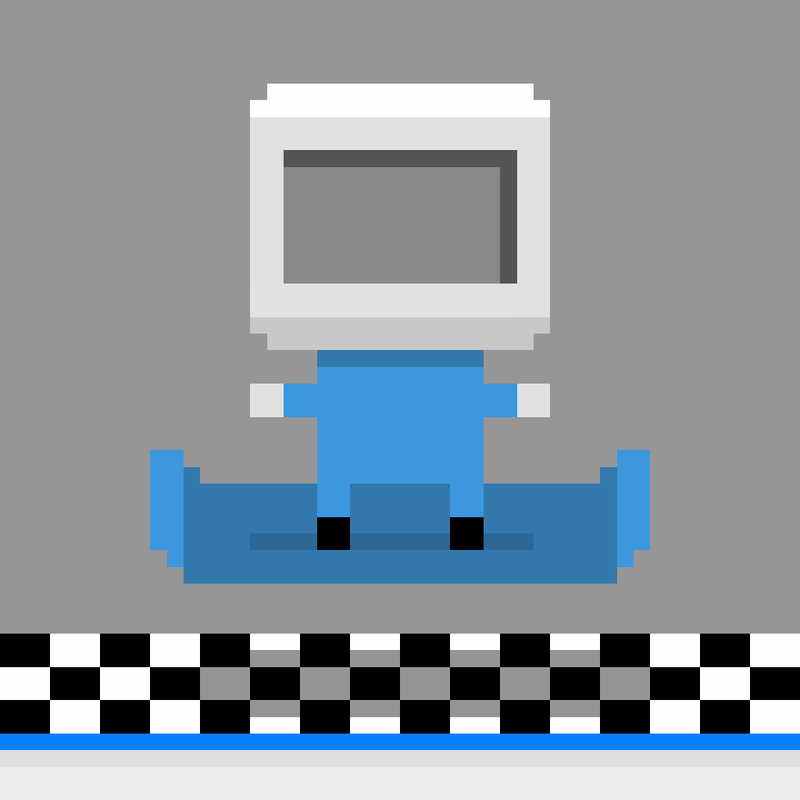 When you reach the end of the track, you can perform flips to please the crowd awaiting your appearance. Your score is determined by how you perform on each individual run. Points are earned for doing flips, making turns, and just getting far on the track. After 10 runs, the game adds up your score from each go and gives you the total score — this is what is used in the Game Center leaderboards. 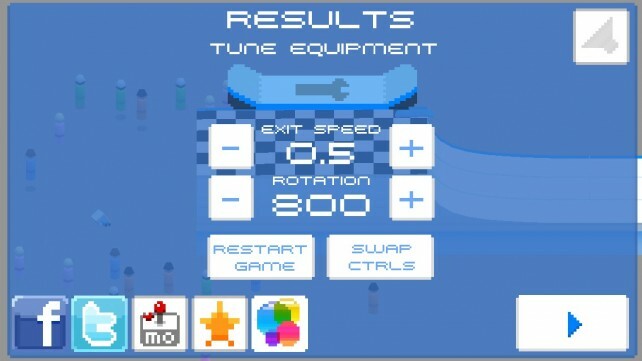 Between runs, you’re able to adjust your exit speed and the rotation sensitivity of flips, so it’s nice to have a bit of customization. Despite the controls, I’m enjoying Cubed Snowboarding quite a bit. It’s a quick little pick-up-and-play game that you can put down at any time, and the gameplay itself is quite challenging. Plus, I’m in love with the visuals, but I do wish that there was some music and sound effects to go with it. 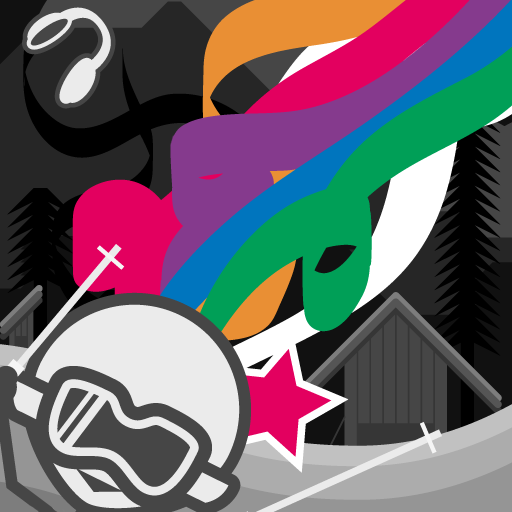 If you’re in the mood for more winter sport games, then you should check out Cubed Snowboarding. You can get it in the App Store as a universal download for $0.99.